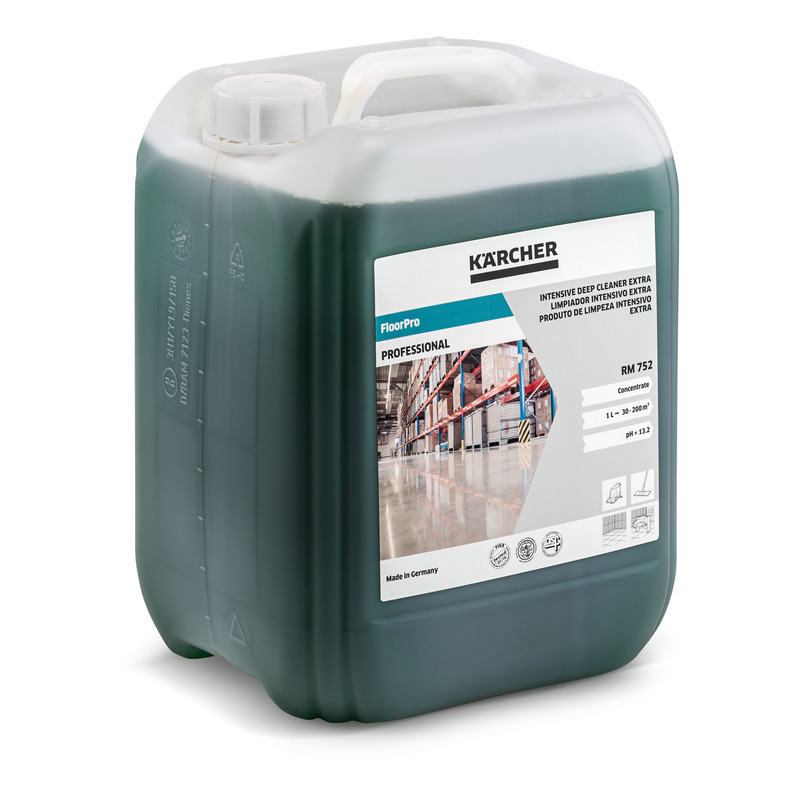 FloorPro Intensive Deep Cleaner Extra RM 752 62958130 https://www.kaercher.com/au/professional/cleaning-and-care-products/reinigungsmittel-professional/floor/basic-cleaning-agents/floorpro-intensive-deep-cleaner-extra-rm-752-62958130.html Extra powerful deep cleaning agent for removal of stubborn dirt and coatings of alkali-resistant floors. Removes even the most stubborn oil, grease and mineral stains. Extra powerful deep cleaning agent for removal of stubborn dirt and coatings of alkali-resistant floors. Removes even the most stubborn oil, grease and mineral stains. Z 20 Contains Limonene. May produce an allergic reaction.